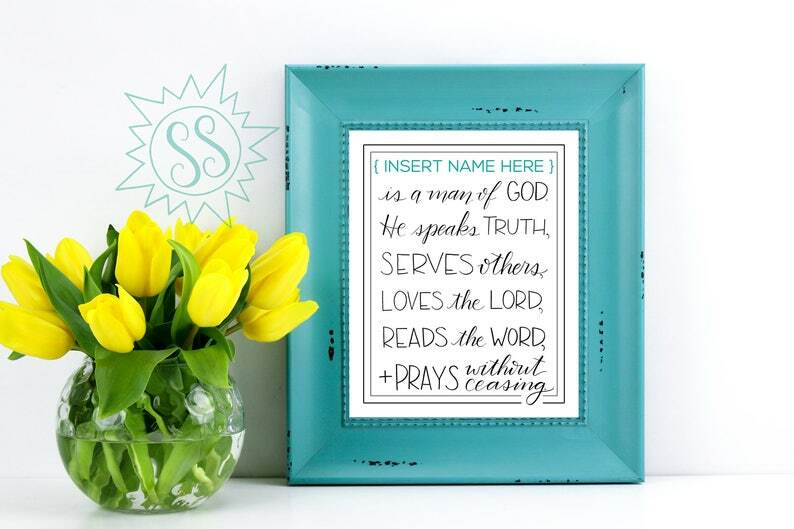 Simply leave the name of YOUR Man of God in the Notes to Seller at checkout. I'll email you your custom 8x10 wall art within 48 hours of your purchase! What an encouraging message for your son, husband, brother, student, or friend to read every time he starts the day.